"Hello everyone, I have just recently bought a brand-new iPhone XR under AT&T contract. I would like to use a different operator in order to save some bucks. Is it possible to use different carrier operator on my iPhone device? If yes then how it is possible. Please help me!" Yes, it is possible to use a different carrier network on a locked iPhone device. You have to factory unlock iPhone device in order to do this. When you purchase an iPhone but, network provider locks your device to prevent it from using different network i.e. SIM. You can't unlock the device officially until you own the iPhone completely. But, if you still would like to factory unlock iPhone then, there are a couple of ways. In this article, we will talk about the best ways to unlock the iPhone device. We will give you the guide that will let you use factory unlocked phones without any problem. When it comes to a factory unlocked iPhone, it has both advantages and disadvantages. Here in this part, we will talk about both the advantages and disadvantages of factory unlocked iPhones. So, without further ado, let's get started. Change network provider: This is one of the major advantages of factory unlocked iPhone. iPhone 6 factory unlocked enables the user to change network provider and choose the one that offers better service at affordable prices. You don't have to restrict with the same network provider as per contract. Travel across the world without worry: Most of the time, people get frustrated when they have locked iPhone device and the network provider is not available in that country. In order to avoid such problems, you should purchase factory unlocked devices. Factory unlocked iPhone give freedom to use any mobile carrier as per your needs. No contracts: With unlocked iPhone device, users don't have to worry about installments and restrictions which generally come with a locked iPhone device. Moreover, one can sell their iPhone device at any time without any problem. Higher resale value: Unlike locked iPhone device, selling the factory unlocked iPhone device gives you more value. Nobody would like to buy a phone which has lots of restrictions such as restricted to the same network, lots of bloatware, and much more. Cost: One of the major disadvantages of unlocked iPhone device is cost. You have to end up paying a couple of hundreds of dollars for a smartphone. On the other hand, buying locked iPhone enable the user to pay on small easy monthly installments. iPhone IMEI is an online wesite that is used to factory unlock iPhone device. With the help of this website, you can easily unlock iPhone, and unlock iCloud in a few simple steps. The process of unlocking the iPhone is very simple and straightforward. One has to pay a very small amount of fee in order to unlock the iPhone device or iCloud. Want to know how to factory unlock iPhone using iPhone IMEI website? Follow the below step-by-step guide. Step 1: First of all, enter to open a web browser on your computer and visit OurPact. Step 2: Now, click on the "Unlock iPhone" button at the top of the website interface. Step 3: Now, choose the iPhone device and select your network and country. Step 4: On your IMEI number field enter your iPhone IMEI number. You can check your IMEI number by dialling *#06#. Step 5: Now, you have to click on the "Unlock Now" button to unlock your locked iPhone device. Have you forgotten the iPhone password and want to unlock the iPhone device? Well, you can try Tenorshare 4uKey. This is a password manager tool used to recover password from iPhone device. There are lots of features loaded in this tool which makes password recovery easier and convenient. It is very easy to use and extremely effective in bypassing /unlocking any type of password with ease. Be it numeric, alpha, Touch ID or FaceID, 4uKey can unlock anything. Want to know how to unlock your iPhone password without iTunes or iCloud? Follow the below guide. Step 1 Download the 4uKey on your computer and complete the installation, connect the device to computer. Note: If the software can not detect your device, then you have to put your iPhone device into the recovery mode. Step 2 After that, you have to download the firmware package and hit on the "Download" button. Step 3 Once the download completed, click on the "Start Unlock" button to start the unlocking process. This will take a couple of seconds or minutes depending on the complexity of passcode. Now the passcode has been removed successfully. In this post, we have talked about iPhone factory unlock and the best way to factory unlock an iPhone device. Hopefully, it will help you to get over the issue! Here, you will also find advantages and disadvantages of factory unlocked iPhone devices. Moreover, if you want to reset iPhone passcode, we found Tenorshare 4uKey is the perfect solution. 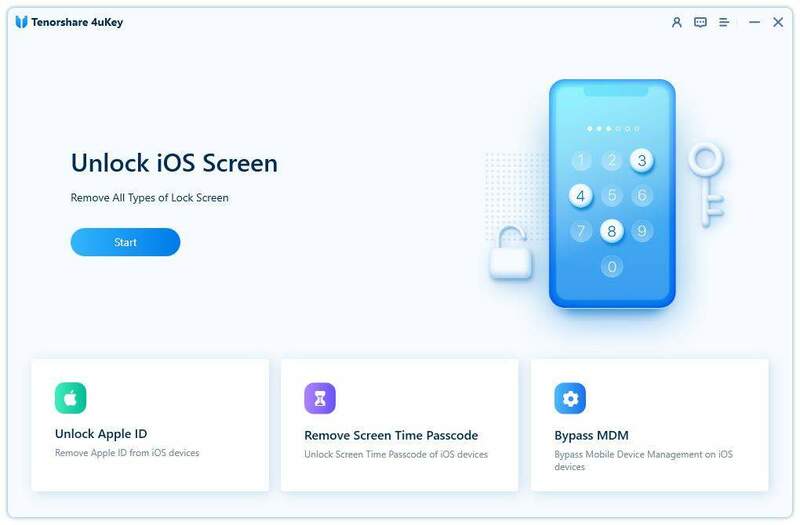 Try this tool if you are looking for the best way to reset iPhone passcode. Highly recommended tool!